The Spirit Week will be taking place next week from October 22-25. 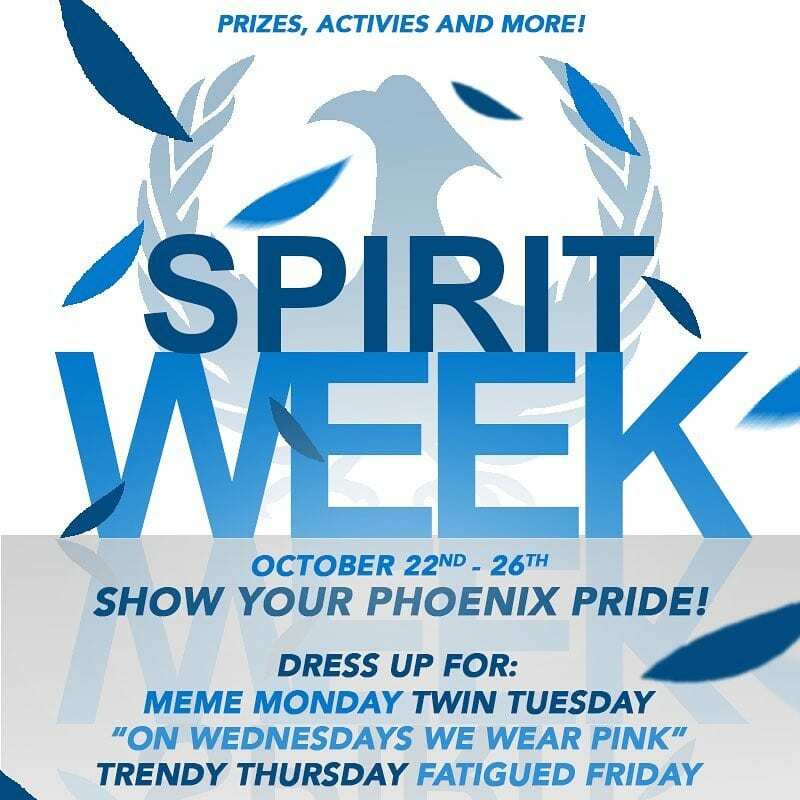 Middle school and High School students will have a great week of fun and show their phoenix pride by dressing up theme each day. An activity is happening at lunch time everyday with a cool prize.